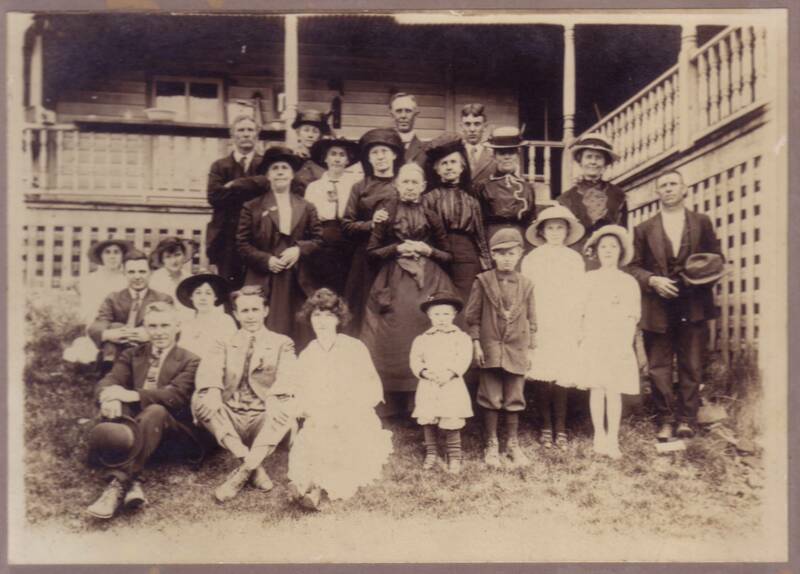 Harvey Wolfe Family Gathering, Mothers Day 1915, Scott County, Virginia. Click on image to see a larger version. Pat, I am trying to find out if anyone living recognizes these family members. The picture is made at Harvey Wolfe’s home on Mother’s Day, 1915. My grandmother Frances Maud Wolfe is the girl in the white dress in the foreground of the photo and her parents are on the back row left corner, Andrew Jackson Wolfe and Laura Catherine Lane Wolfe. Unfortunately by the time I had possession of the photo no one was living to tell me who they are. A.J. and Laura lived and are buried near Rye Cove in Scott County. 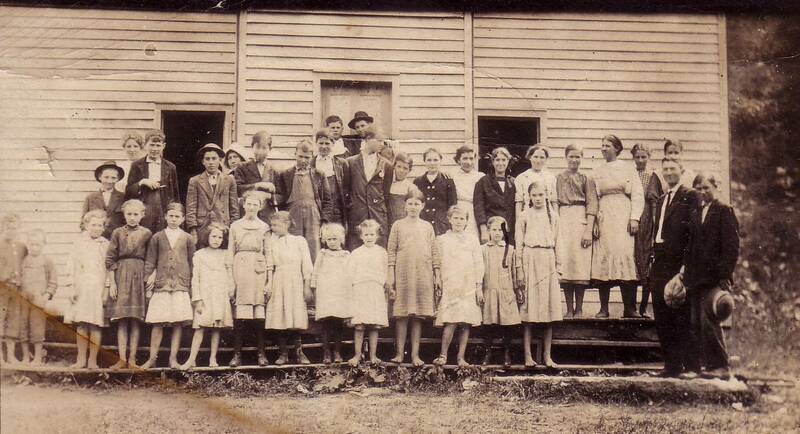 I also wonder if anyone has information about the children in this school picture. I have no knowledge of the school name etc. The young man seated second from left looks very much like my father, Edward Ralph Flanary. He was not born until 1916, so I wonder if it could be his father, Melvin Clinton Flanary. Do you have any further information available? My father’s mother, Maude Elizabeth Harris Flanary, died when he was four and we have never seen a photo of her. Hi Jane, We are distant cousins! AJ and Laura Catherine Wolfe (Lane)are my great grand parents via her daughter Amanda Anne Deeds (Wolfe) vía Nancy Call (Deeds) my mother. Sorry I cannot be of help in recognizing anyone in the photo but thank you for posting it! !